Well, this is a bit of a late one isn’t it. Easter was approximately two weeks ago now, so this particular lush product is most likely, 99.99% out of stock until next Easter.. oops? Secondly, I’d just like to apologise for my horrific photography photo taking skills, I honestly, after having my camera for more than four months now, still have no idea how to use it properly (don’t even get me started on photo editing, pic monkey to the rescue!) No, it’s not a big fancy SLR that actually takes some good brain work to produce a photo, it’s a teeny tiny little digital Nikon.. i’m just rubbish with cameras. Let’s get down to the important stuff shall we! 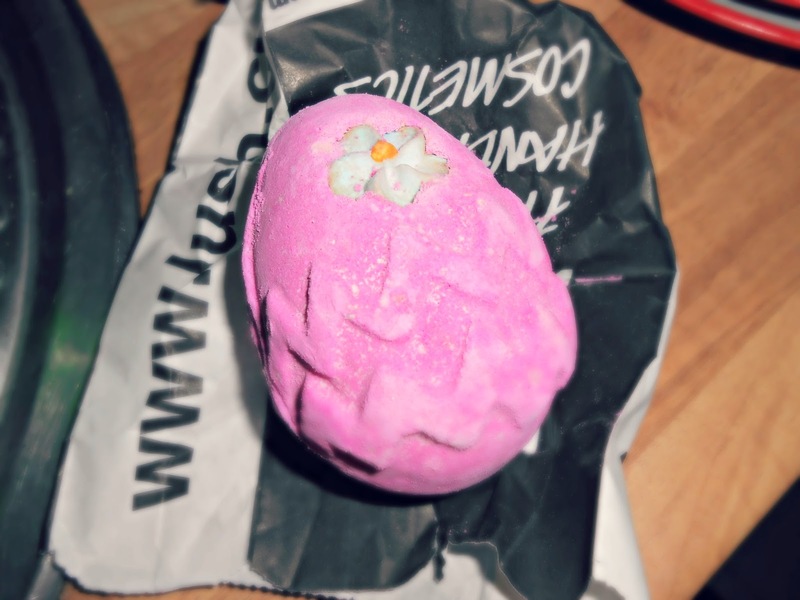 Firstly, this “bath ballistic” did not fizz half as much as I expected it to, but that wasn’t anything a little bit of squishing couldn’t help(what’s up with my vocabulary today?). I was however, pleasantly surprised by the strong scent it gave off once it made contact with my bath. I love anything that’s sweetly scented and this certainly was, honestly it smelt like what I expect candy crush to smell like! (Speaking of candy crush, does anyone still play candy crush or has everyone kind of forgotten about it now?) As for the feel of the water, it did have that signature lush silky feeling to it which I adore. Did you grab one a fluffy egg bath ballistic this year? What did you think?